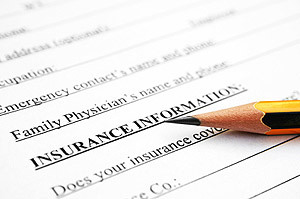 The underwriting process generally takes about 4 to 6 weeks however if an attainting physicians report is required this could add several more weeks before obtaining a decision from the insurance carrier. Life Insurance Underwriting is a process that determines the risk of insuring a person. Underwriting involves looking at the application and evidence provided to determine the risk the insurance carrier takes in insuring this individual. This calculation is translated into the cost of the policy, which means the more risky the individual is to insure, the more the policy will cost. Factors an insurance underwriter use include a variety of things, such as the applicant’s age, general health, family medical history and any preexisting medical factors they may have. Also included are an individual’s choices such as if they smoke, or if they engage in risky activities such as sky-diving, bungee jumping or motor vehicle racing. If you are looking to purchase life insurance it is imperative that you understand the options that are available to you. Buying life insurance can be a confusing undertaking without the guidance of an insurance specialist. With so many options and types of policies offered, it is no wonder people often feel weighed down. A life insurance broker works with you to make sure this is as simple and effortless as possible. Speaking with a life insurance specialist with Solutions Financial is a step in the right direction.